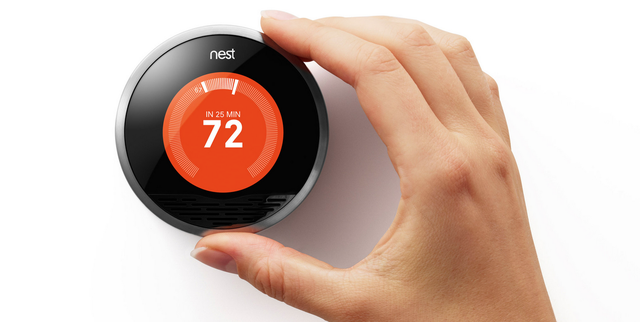 Soleio Cuervo has been thinking about how to tailor technology to users for almost a decade. And he’s had a pretty unique vantage point. As one of the very first designers at Facebook (and reported creator of the famous "Like" button), he was instrumental in the creation of many of Facebook's early products and features. Now leading design at Dropbox, he spends his time thinking of new ways for products to understand our needs and wants in real time. “Personalized streams are everywhere we look now: Twitter, Instagram, LinkedIn,” says Cuervo. And that’s not even delving into the new movement toward predictive technologies like Google Now that serve up information before you even know you need it. But personalization doesn’t have to be the provenance of massive companies. Startups can take advantage of the same principles to build deeply engaging experiences. After years of firsthand work and observation, Cuervo has seen four ingredients emerge that power personalized products. At First Round’s recent Design+Startup event in San Francisco, he explained each one and how newer and smaller companies can put them together to not only build great products but accelerate progress for everyone. Cuervo is a firm believer that you need to know where you’ve been before you can decide where you’re going. In this case, it’s important for founders to understand how product personalization in computing has evolved and where it is today so they can decide what their next move should be. It may be hard to believe that the concept of personalization is as old as personal computing itself, but that’s what skeuomorphic design was all about on the early Macintosh: Folders and files were fashioned to look and operate like their real-life counterparts to ease early adopters into digital work. Obviously since then there’s been a massive jump. Over the past ten years, consumer technology has gotten to know our names, where we're located, what we’re interested in, and who we’re connected to —both socially and implicitly. It was at the start of this transition that Cuervo entered the scene, joining Facebook right as algorithms were making it possible to give individual users tailored experiences. But there’s still a long, long way to go, he says. “Thousands of iPhones are built and shipped every hour around the world, but every single one delivers essentially the same onboarding process —every new owner of an iPhone goes through the same first-run experience no matter who they are.” In the future, he believes every device will conform to your identity the moment they are unboxed (not unlike the operating system in the movie Her). So how can companies take all of these past learnings, recombine them and push them further to create paradigms beyond the feed? Already, Cuervo says, the startup ecosystem is presenting new opportunities for personalization, and the data and technology are largely there. This is where his four ingredients come in. If a startup can properly integrate each into their roadmap, they have a shot at doing something that will change the way millions of people interact with their products and each other. Your identity is at the core of any personalized experience in this new age. It extends beyond your name, profile picture and the information you’ve filled out in your account. It’s a robust entity that evolves as you make decisions and take actions across multiple devices and platforms. To clarify and define people’s identities, Facebook tweaked existing products and shipped new ones designed to do exactly that. When they first introduced photo tagging, for example, the feature was inherently social and created value not just for the person uploading the photo but also the subjects tagged in those photos. A photo tagged with multiple people not only contributed to the profile of the author but of the subjects as well; it also created a teaching moment for every person who received a notification that they were tagged in a photo. Friends taught friends about the feature organically — and that's just one example of the many ways Facebook encouraged people to connect and express themselves. It’s equally important to recognize that people don’t have just one identity online like they do in the real world. Data shows that people define themselves sometimes very differently across services —they’ll have a different persona on LinkedIn than they do on Instagram than they do on Facebook and so on. Sometimes they want to project a professional identity. Sometimes they want to project an artistic, creative identity. Your product has to cater to the identity that serves your company’s goals best. At Dropbox, Cuervo is part of the team working to serve identities for work and personal contexts. After launching as a consumer-facing service, the company is branching into the enterprise in a big way with Dropbox for Business. This means that users need to be able to distinguish their personal accounts (and personal identity) from their business accounts. It’s also motivated Dropbox to ponder the elements of people’s professional identities. The takeaway for startups is that you should actively manage people’s identities in ways that encourage the behavior you want —whether it’s getting people to buy something or converse more with each other or share media. The features on your roadmap should bring out these aspects of your users’ identities whenever possible. And if engagement is your goal, your product should take cues from how people are organically identifying themselves on your platform. The first hashtag ever tweeted. When people hear the word “graph,” they immediately think of their personal social network. The term has been popularized to describe everyone’s system of relationships as a communal asset. Your social graph doesn’t belong solely to you, it belongs to everyone in it. And the more people who join the network, the more valuable the graph becomes, Cuervo says. Today, there are many graphs across many different platforms. Just like people have a variety of identities spanning the digital world, they are also members of a growing number of groups, communities and networks that may have nothing to do with the people they know in real life. They belong to interest groups, follow celebrities (Kim Kardashian has 15.9 million followers on Instagram), connect with professional contacts, tap into media sources for their news, and more. All of these systems of structured relationships act as graphs that can be used to deliver tailored experiences to individuals. To leverage this data, Facebook introduced Facebook Connect, allowing users to log in to completely different services and products using their Facebook credentials. “The idea is that now you can take all of your friendships and travel across the web with them to see what they’re doing in the context of a third-party service,” Cuervo says. Some key examples include apps like Runkeeper, Lift, and Duolingo, which let you import your friends and see if they are also interested in running, self-improvement, or learning new languages. If so, these apps benefit by letting you track your progress together, compete and share —basically getting you more deeply engaged. Mobile has added a whole new layer to the mix. Smartphones and tablets let users broadcast where they are, communicate on the go, and use products across a host of different contexts. Suddenly, it’s not enough to offer just one product —you have to create distinct experiences for every context that makes sense. 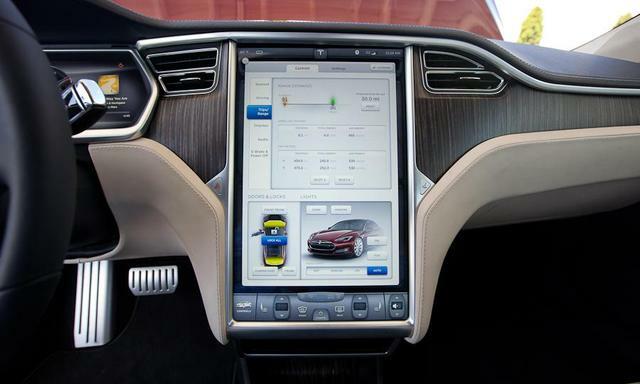 Touchscreens like the one in Tesla's Model S will become increasingly common and customizable. “You can look across the most successful companies that are out there today, and they are the ones doing exciting things across multiple platforms and devices.” Pandora is a prime example as an early entrant to the automotive space that has also focused on creating thoughtfully different web and mobile experiences. Similarly, winners in the enterprise sector will be those that embrace the way people establish workflows across multiple device types, he says. This can sound boundless and intimidating, but we’re just at the beginning of this trend. Startups looking to launch personalized products should fix their sights on how tasks and needs vary across different devices over the course of a given day. Experiences like this have enjoyed the label ‘automagical’ —when predictive technology is so right on the money that you get what you want before you even know you wanted it. But not everyone is on board. Just as Facebook was inundated with complaints when News Feed launched in 2006, new technologies that seem to be too smart or too prescient have turned some people off. Entrepreneurs interested in working in this space will need to be able to address and assuage these attitudes. What tools are you investing in that allow you to personalize your product experience as you’re prototyping it? How are you sharing designs with peers and stakeholders for feedback? “Sharing a quick screenshot isn’t going to cut it much longer. Make sure you can create prototypes that pull in your stakeholder’s graph data and personalize the experience for them. That way they can really see the experience from the perspective of a user,” says Cuervo. At both Facebook and Dropbox, when his team rolls out a new feature to colleagues for internal testing, they create personalized sandboxes for them to see how the thing will actually work in the wild. This is how you get the best feedback: When stakeholders experience the prototype through their personal lens. Also, capitalize on the existing work of other companies that have come before. Resources and APIs like Facebook Connect can give startups a huge boost in the realm of personalization. Here, Cuervo points to a delightful app called Timehop that connects to your Facebook, Twitter, Flickr, Instagram, and Foursquare accounts to build a personal time capsule for every day. By pulling in all of the photos and content from elsewhere, it allows users to revisit old moments seamlessly. Just remember that there are dozens of data firehoses out there, Cuervo says, and the way to capture the activity you need may be to depend on others. Don’t assume that relying on one or more of these platforms will keep you from building something special.